04262014_Pakistan_Becherer_003-copy: Global News Events: Global News Portfolio: New Orleans based Photojournalist covering the Deep South and beyond. KARACHI, PAKISTAN. 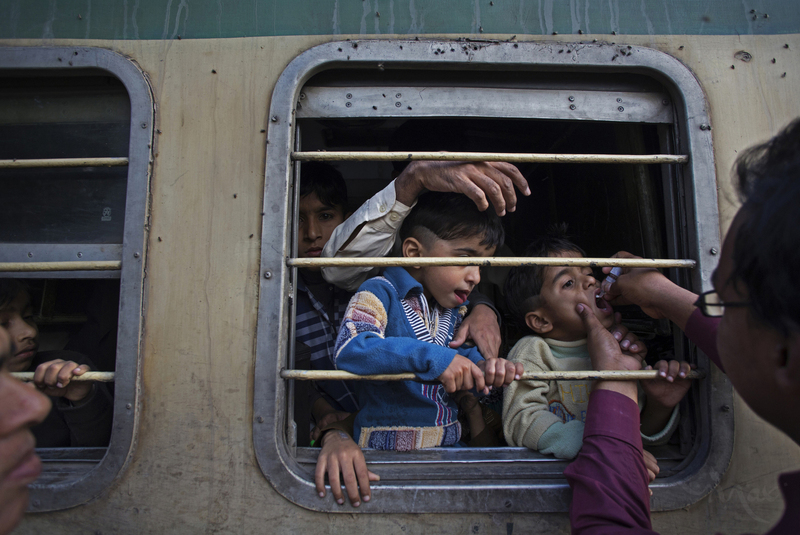 A government team administers Polio immunization drops to children between the ages of 0 to 5 at the Karachi train station in Karachi, Pakistan on Thursday January 30, 2014. The three-day campaign was cut short after an immunization team was attacked and two workers killed the following day. Pakistan remains one of the most difficult polio eradication environments with the death toll among anti-polio workers reaching 65 since the first targeted attack in December of 2012.